Takeaway: An exclusive interview features Geoff Binks, a chemist who has dedicated 50 years to polymer coating and composite manufacturing in the UK. 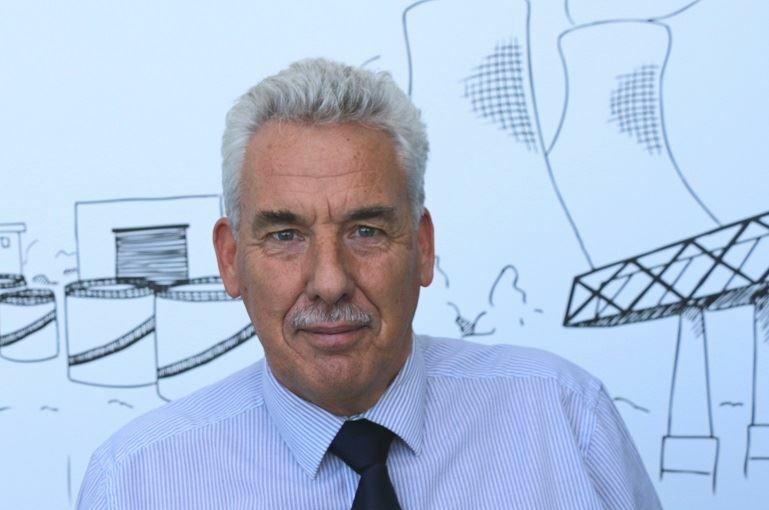 Serving in numerous roles he has witnessed half a century of changes in the coatings and maintenance sector. A native of Harrogate, UK, Geoff Binks joined Belzona in 1965 direct out of technical college with a chemistry background. He first worked in Research & Development on a broad range of products, particularly metallic coatings, which saw radical development in 1968 with the introduction of the first Belzona Super Metal formulation. 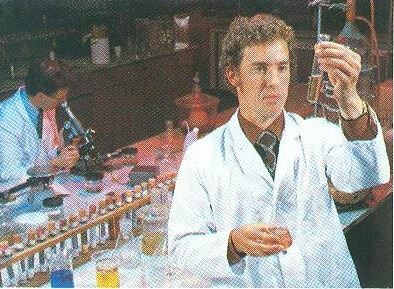 In the early 1980s, he joined a newly formed Molecular Engineering Department (MED), responsible for field visits, inspecting and supervising applications, and delivering in-plant training. His exposure to all aspects of Belzona’s business ultimately led to his position as Technical Service Coordinator acting as a link between chemists, engineers, sales and marketing. With his wide-ranging knowledge and experience, Geoff provides global technical support to customers, distributors and staff. This interview with the “Belzona Guru” occurred shortly after the company celebrated his 50-year anniversary, to share his personal account on how the industry has changed over the years. Your career started in the 1960s. Can you describe some of the standard industry practices of that time in terms of repair and maintenance? First of all, polymer repairs were almost unheard of. We had to show people exactly how the polymer works, changing from a liquid to a solid state. Health and safety was not a major priority at the time. This was throughout the industry, with little personal protective equipment (PPE) such as gloves or eye protection, as well as in our laboratory, where pranks were commonplace. Can you share some of your favorite pranks? I will not go into too much detail, but one prank involved polystyrene drinking cups being attacked with solvent, leading to loss of containment! How have the coatings evolved over time? We always say that Belzona does not corrode, which is of course true, but there was a time when Belzona Metals could corrode. Back in the early 1960s we used iron powder in the polymer, which was able to rust, before silicon steel alloy was deployed into Belzona Metals in 1968. Additionally, Belzona was mainly sold in small quantities, as pack sales. Now we get increasingly involved in large-scale projects, sometimes requiring several tons of Belzona materials. 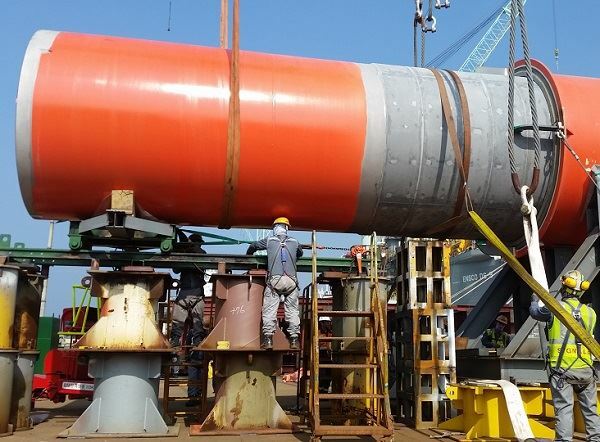 For example we recently did a job on a new Ichtys (oil and gas) platform installing riser bearings which involved over 25 tons of Belzona 1321. How has the Oil and Gas industry changed over the last 50 years? 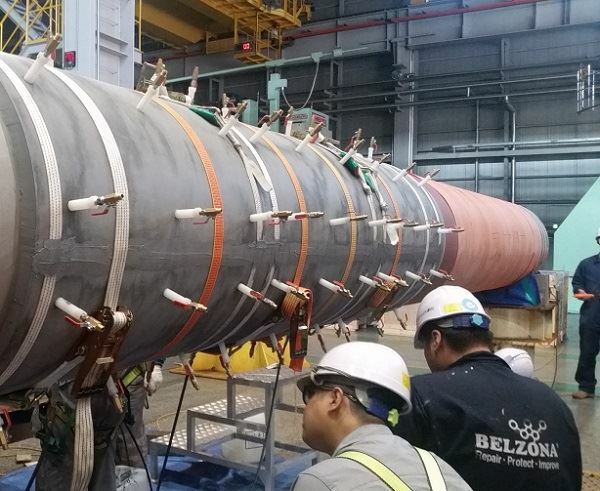 Being involved in the development of the first Belzona Super Metal in 1968. This set the standard being corrosion resistant, easier to mix and apply and had higher physical properties, particularly adhesion and heat resistance, than other materials available at the time. This product remains one of our best sellers and is synonymous with the Belzona brand due to its performance and versatility. After working on product development for many years, my job evolved through technical service and technical writing to when the Molecular Engineering Department (MED) was created. At that time we also recruited Ron and Dave, our current Managing and Technical Directors. 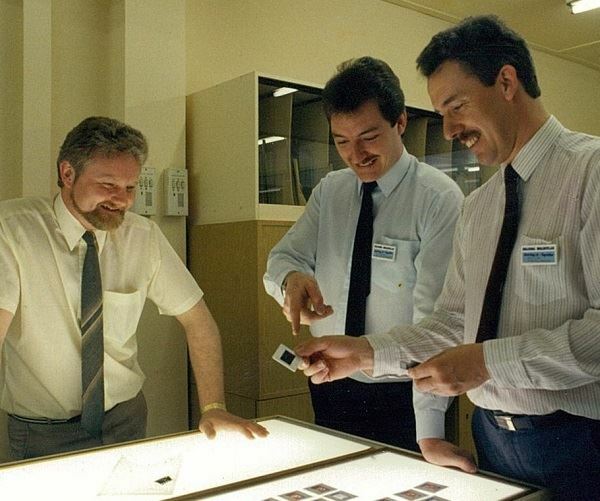 One of my responsibilities at that time was managing the Belzona Slide Library, an impressive collection of 100,000 or more 35mm slides, vital in the creation of literature and customer presentations. This led to my involvement with marketing, working on creating technical and sales literature, particularly "Know How in Action" as well as our audio-visual (AV) presentations, the precursor to today’s videos. AVs with titles such as “Dr. Belzona”, “The Unconventional Alternative” and “Simply the Best” were the key tools used by consultants. I guess another highlight would be the opportunities I have had to work in so many different areas of the business, which has allowed me to meet many different people from many different industries and led to some, but not excessive global travel. What does the future hold for repair and protection against erosion and corrosion? As heavy industries are beginning to decline, and planned maintenance increases, we will need to continue to adapt and ensure we target emerging markets and industries. I would guess that most of our current customers use only 10 percent of our product range, so there is always potential there.